Sherry L. Johnston, Bristol Palin’s future mother-in-law, was arrested Thursday night on drug charges. 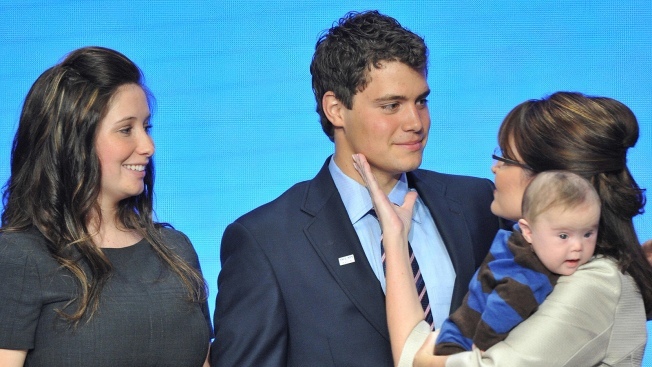 Here, Palin talks with Levi Johnston at the Republican National Convention this year. Sherry L. Johnston, Bristol Palin’s future mother-in-law, was arrested Thursday night on drug charges. Johnston was arrested at her Wasilla home and charged with six felony drug counts. Alaska state troopers then searched the Johnston home for further evidence of narcotics. She was charged with second-degree misconduct for allegedly manufacturing narcotics and a fourth-degree misconduct related to possession. She has been released from the Mat-Su Pretrial Facility on a $2,000 bond. Johnston is the mother of Levi Johnston, who was vaulted into the national spotlight in September when it was announced that he is the father of Alaska Gov. 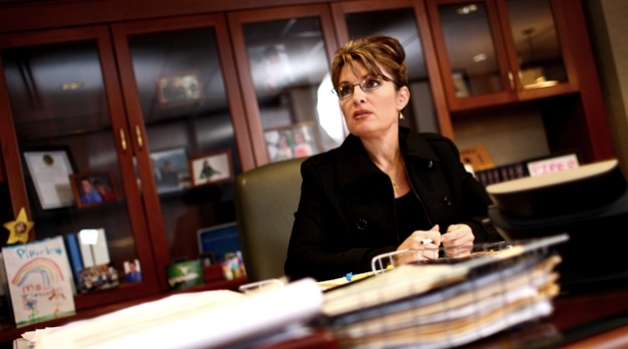 Sarah Palin’s teenage daughter Bristol’s child. The baby is due on Saturday, and the two are set to wed this summer.